We have some ups and downs this week coming up. I foresee issues because of our weekend getaway. But I don't think it'll be too bad. I made some slight adjustments in the workloads because of some frustrations last week. Joey is going to continue working on his math basics with multiplication and division. He is continuing his weather spotter unit study for his 4H project. He is doing a wonderful job learning about finding his own answers during his Bible study. I am very proud of him for that. So he will continue working on that. He is working on another 4H food and exercise project this week, basically summing up the food pyramid and learning more about exercising. He is also doing his 4H family tree project. He is reading Hunger Games for literature. And he is working on writing his own Class for Homeschool with Minecraft and also working on his Minecraft MOD Class from Youth Digital. Brayden is working on his math in Saxon. This week we are working on story problems and how to catch the clues on how to solve it. He will work on a Family Tree Project also. In Science he is learning about the water cycle and the water on our planet. He is finishing his Boxcar Children book and going to start the Origami Yoda series for literature. Part of Brayden's 4H project is this week with the weather, the water cycle. I'll help him design his model for that. Lydia is working on parts of speech in her vocabulary book. She is reviewing concepts with CTCmath before we move into the big world of 3rd grade math. She is continuing to read her Boxcar Children Series that she is enjoying right now. In Science we are working on the layers of the earth this week and what geologists do. She kind of has the week off from History this week, but we'll be watching Liberty Kids this week to keep up with our upcoming Revolutionary War class. Caty has a partial week. She is getting some molars in a little late and she is grouchy!!! It's like a sensory nightmare going on. She'll be working on review with CTCmath. In Science she'll sit in on Lydia's Layers of the earth class so that we can cover it a bit too. I'm sure I'll dig out her favorite Magic School Bus also. For reading, we'll continue with the Foundations program from Logic of English that we are reviewing. We're going to start more repetition with sight words using the Reading Game too. Wow, it's hard to believe that we are only 9 weeks away from the end of our school year. I am debating about giving Lydia an assessment test this year instead of doing just a Teacher portfolio evaluation. I know the other kids levels, but Lydia is so hard to gauge. Some things I do not think she understands, so we go to review them and she knew the material. Other things I assumed she knew and she doesn't remember any of the material. But this is also the girl that can spell better than she can read. Just trying to get myself organized. I have been completely drained this week. I am in a funk and just cannot seem to break out of it. I really need to start exercising more regularly. It's just not happening the way I want it too. The exhaustion is really getting to me and it's making it difficult to function. So obviously I am not in the mood for exercise. My waist is really starting to feel it. We were successful in getting all our work done. We didn't have any extra projects this week. I ran short on energy to do a couple of things that I wanted to with the kids. So really want to work at getting some extra stuff into the schedule for them this next week. 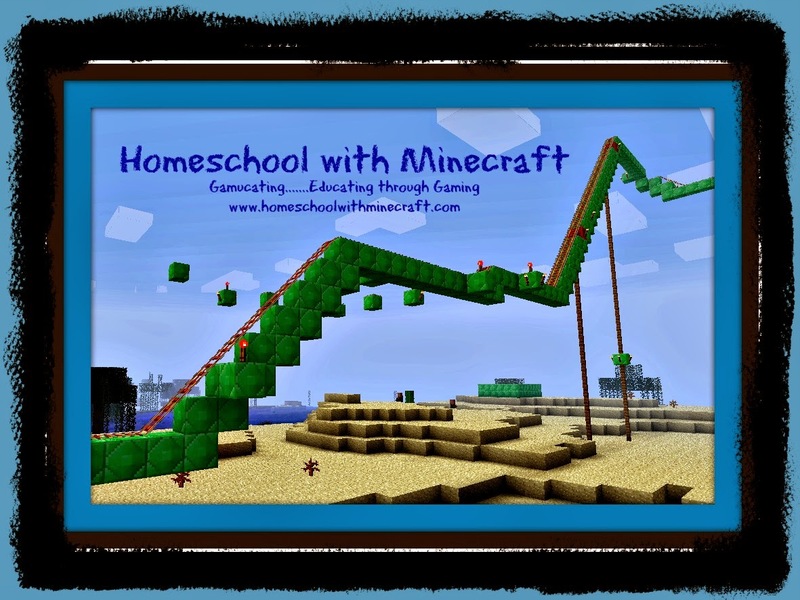 Homeschool with Minecraft...planning...planning....planning. We have an exciting summer class schedule starting and I need to get fall classes up and running. Baked chicken breast was a favorite this week. I served them with mashed potatoes. Leftover chicken was great for chicken quesadillas the next day. So it was two easy suppers. I made some chicken & Noodle soup because Joey has been battling a cold. He insisted he needed good chicken broth to drink to make him better. I have gotten off the meal planning wagon. I really need to get back on, life is so much easier when I have stuff planned out. Slight adjustments are ok, but I need to stop "winging" it. I set up a work area closer to where the kids are, but not in the middle of our kitchen table. It's a work in progress. I was tired of our kitchen table being a pile of my work papers and school lessons. So I am trying to get set up so I can see /hear the kids for when I am online with classes and still have the work out of sight. We had art class. Working with Air dry clay. This is an elusive picture....it's Brayden doing his schoolwork with minimal threats. So grateful to be part of the Schoolhouse Review Crew. We got an awesome package for Caty to start using. We were excited to get going on it this week. Lydia finished her first Boxcar Children early reader. She really liked it and our library in town had the series, so we checked out a few more. Then we cooked an allergen friendly meal from the Boxcar Children Cookbook. Caty and I worked on some Hot Dots cards. And Lydia worked on some addition Hot Dots cards. Lydia's journal project this week. She needed to break down a paper into four blocks and tell a story. She told the story of a seed being planted. Caty and I fell behind on her Kinderbach program. So we spent some time catching up this week. Here she is putting her Dodi's house markers on the keyboard. We are starting to study the Revolution in History on Homeschool with Minecraft. So the kids started watching Liberty's Kids again. They love this series. Lydia working on her Homeschool with Minecraft. She was watching a video about the French and Indian War. We were going to Michigan this weekend with our family and stopped at a neat place on the way up. We were thinking when we pulled up that we would be disappointed. I mean the title on the Groupon was "Discovery Zoo". The building looked so small. But we had so much fun. Watch next week for our post about our trip. Brayden did not want to swim this weekend. We don't know why though. He sat by the pool with his laptop. But the others LOVED swimming. They got a surprise LEGO treat from Mommy and Daddy. Brayden is getting into putting LEGOs together. Joey got a new one called Mixel. Lydia loves LEGO friends. This is a puppy agility course. She was thrilled! We also visited the Michigan State University Museum. It was GREAT!! Watch for the upcoming blog post about our learning adventure. We got back to the hotel and played games in the common area with friends. Caty LOVES playing Disney Apples to Apples. Caty is working semi-hard on her reading....she seems to be catching on slowly. She is choosing her speed. Caty was really excited about something and decided to dance...dance...dance in order to try and get out of her reading lesson that day. 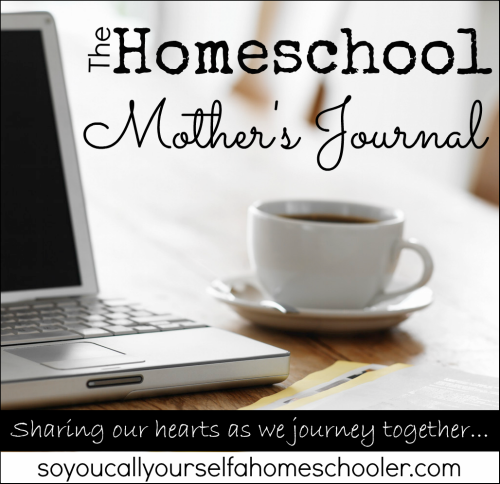 Linking up with other homeschool moms at So You Call Yourself a Homeschooler. Check out our new classes and see how to use games to educate....we call it Gamucating!!! Boy am I finding myself busy. Busy to the point of physical and mental exhaustion. I am talking to the point of not being able to keep normal conversations straight in my head. All I hear is "yada...yada....what are we going to eat....yada....yada...."
As I am typing this post, I actually went to bed a little after 11 last night, woke up to my 5:30 am alarm. Now at 6:30, after working a little bit....I am back to mental exhaustion. I should also mention that I was woke up by the kittens, Caty and Joey several times throughout the night. So it doesn't help that I am unable to have uninterrupted sleep. I don't know how familiar you are with fibromyalgia, but it really messes with you. It's not only painful to just move most days, but I also have the brain fog. When I get really stressed, I start feeling like I am walking in a fog. I really start to feel personally what some of my sensory kids feel like all the time. I just want to cover my ears and start rocking too. When these things happen, I feel myself get angry quicker. I snap sarcastically at the smallest of things. I feel like crying, and I snack constantly to stay awake. The mental & physical exhaustion also makes it so that I cannot get myself motivated to exercise. That means that one of my ways of feeling better is not getting done. Jogging is really a great mood improvement for me. Yada...yada...yada....What did you say again? 1. Think sunshine. Sunshine...Vitamin D ....so necessary. It's amazing how much better you feel after being out in the sunshine for just a bit. Too cold outside. Sit in front of a living room window, soak in some rays. 2. Brain Aid. I am learning about essential oils, and really want to take a course on using them effectively and properly. Plant Therapy has a mix called Brain Aid that I really like. The smell at first is a bit overwhelming, but I find that it really brings my focus back. Some days I diffuse it (to the benefit of the whole family) and other days I dab a bit on my neck. 3. Get up and just move a bit. Sometimes I just need to get up and walk around a bit. No matter how stressed I am about finishing a project, maybe get up and fold a few pieces of clean laundry (while standing), walking on the treadmill for a few minutes, pick up the living room. Spend 15 minutes doing something different in order to get myself back on track. 4. A friend recommended a new homeopathic lotion made with arnica. I had never heard of it. I now use it to help alleviate some of the pains which allows me to redirect my attention from pain to what needs to be accomplished. I have only been doing this a couple weeks, but when my back is really hurting and I rub some of the lotion on, I can usually stop thinking about the pain and redirect my attention back to my project. 5. Play a brief game with the kids. Laugh a little. A quick 15-20 minute game with one of the kids means the world to them and refreshes my brain at the same time. These are some things that help me. Some days I just completely give up trying to control my thoughts and fog. Do you have any tricks that help keep you on track mentally? 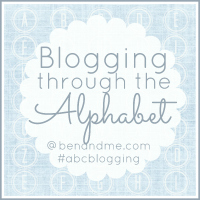 Linking up with other homeschool moms at Ben and Me....Blogging through the alphabet. It's going to a busy week. Art class, 4H meeting, reading therapy, Homeschool with Minecraft school, Piano...and some fun weekend plans. Need to cram a bunch in this week. Joey is going to continue working on his weather study unit. This is going to be his 4H project, so we are working on "extra" outside our normal unit study material. He's actually talking the online weather spotter training. He is working on Multiplication.....very early skills. Hoping something is clicking because he is struggling in this area terribly. If his is able to focus, he's able to remember steps. But if he is struggling in anyway focus wise....forget it. He won't remember his own name. This is the last week of learning about Colonial Life in Homeschool with Minecraft. 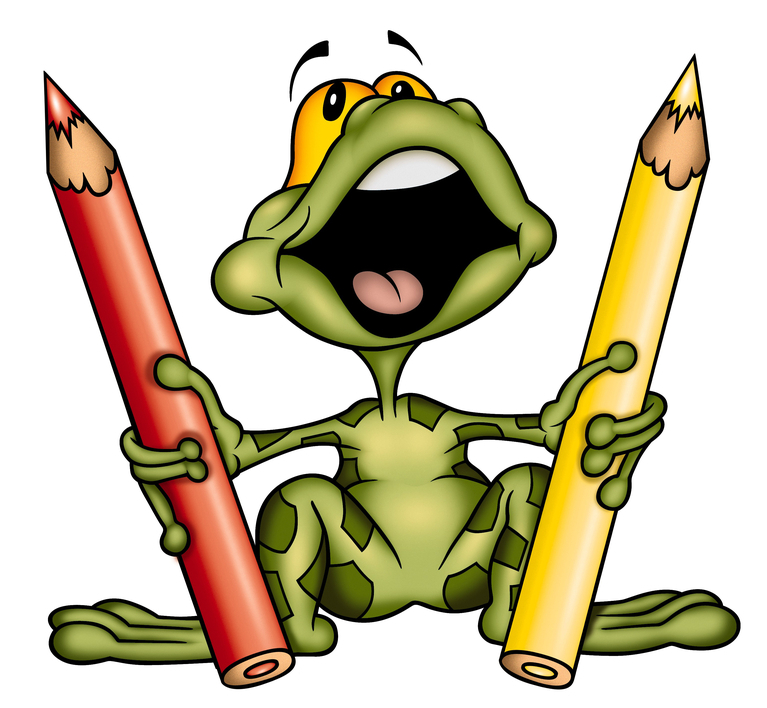 He is also going to be working on a vocabulary books to help him reinforce words in his speaking ability. We're also going to start working on his speech for the 4H speaking competition. He'll be finishing his assigned reading book this week, Bunnicula. I think he is going to start Hunger Games next. We'll wait and see. I also thought about Mrs. Frisby or Wind in the Willows. I'm torn between these 3. Brayden will be finishing up his science unit on the human body. We may change his self-determined project to a project on blood and the human heart. I need to check on this Monday at the meeting. Brayden has been doing well using Saxon Math, so we are sticking with what is working for him. He has another week in his assigned reading book. We need to pick his next book, so going to start researching this week. Any suggestions? He'll continue working in his vocabulary workbook also. Lydia is using CTC math also. I am using it in combination with math review. She may be starting Saxon Math also. I am researching it. She is enjoying some language arts/grammar/reading pages I bought from Teachers Pay Teachers by the Moffat Girls. She is going to keep going on these. In Science we'll be starting her geology study unit. History....same as Joey. In her Art Journal, we'll be talking about illustrating a story. We'll start with something easy, like breaking her page into 4 squares and drawing the life cycle of a flower (in honor of spring). She'll also be working in her art journal for her Bible stories. Caty is going to start a study on sound, using Magic School bus videos and books. In Math, she'll also be using CTCmath.com. She liked getting the feedback last week. So YEAH!! She is excited to be learning about addition. Still working in our 100 Easy Lessons book. Very slowly, I don't want her to feel overwhelmed. But she is doing pretty good with it. So we'll be working some more on beginning sounds this week too. All the kids will be using the Discovery Educational Streaming site this week. We are checking it out and see if it will work for our family. If we like it, it would save me over $150.00 a year because of the difference between a service we currently use and the cost of Discovery Educational Streaming. Hope everyone has a great week!!! See you this weekend! Same old, same old. I have been working non-stop on just about anything and everything that needs to get done. It's been very frustrating to be sooooo exhausted and not be able to see much progress in any areas of life. It's our first full week back of "textbook" learning. Minus the hiccups from Brayden staying up 40+ hours straight, we were able to finish all our school work and Bible study time :) I am very proud of their hard work. Organizing...organizing....organizing. I just feel so overwhelmed by the clutter. The endless list of projects. It has been a little crazy in life. I have had to accept a lot of reality this past couple weeks about the future. It's hard because I knew these things in the back of my mind, yet didn't want to face them. But hey...that's the life you live when you are dealing with autism. Joey has been upset the past couple weeks. I haven't made a weekly menu. Normally he checks it daily. Well I have been struggling in this organization area. It also bugs me when he gets so upset if I need to make a menu change. It totally throws him off if I need to make a meatloaf on a night that says chicken. We had baked burgers, baked potatoes, roast, steak and hashbrowns. To get back into my regular exercise routine. I have spent weeks getting back on my Bible reading schedule. I figure it will take me weeks to get back into my routine. I have tried to start reading Divergent...yet again. But usually am so exhausted only get one or two paragraphs done a week. We had a field trip to learn about Maple Syrup. We learning about the Native Americans and Maple syrup and how to tap trees, etc. Here's Caty trying to drill. Caty got some great new games at our family party last week. She loves this one. Brayden learned about blood this week. Even with his trouble sleeping, he managed to get most of his work done. Lydia working on her Grammar sheets. Joey working on his CTCmath program (watch for the upcoming review). Lydia learned about symmetry. He kind of understood the concept, and was going for full symmetry here, but missed it just a little. This picture did not have symmetry. Lydia helped me admin the Xbox Minecraft class this week. She is my new helper. We had DIY club this week. We are working on our Geology badge. She is loving her new laptop. Taking advantage of the coffee shop internet while we wait for ballet to start. Caty and I were drawing while waiting on ballet to start.